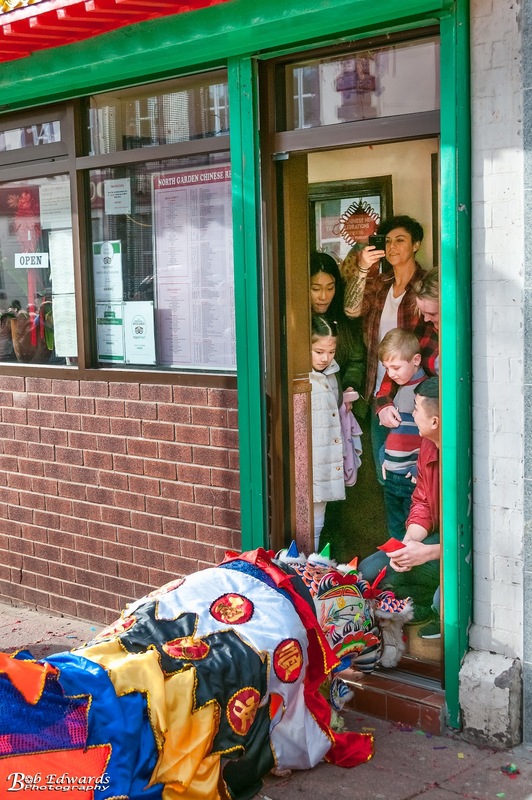 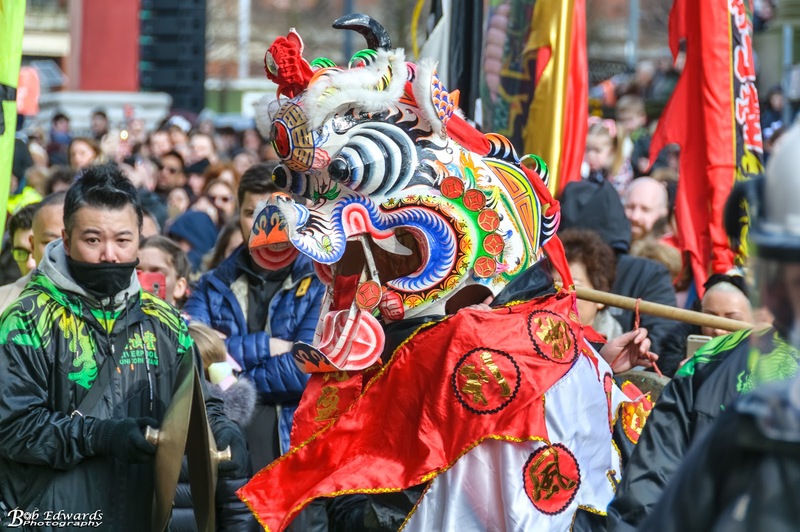 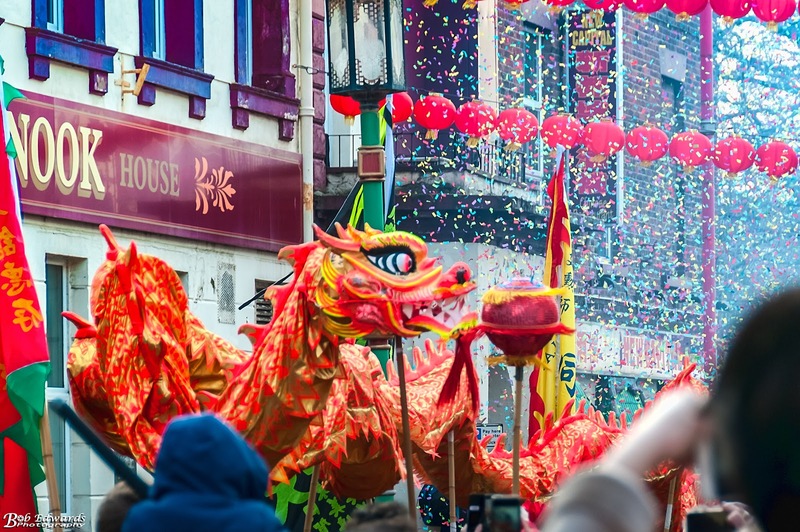 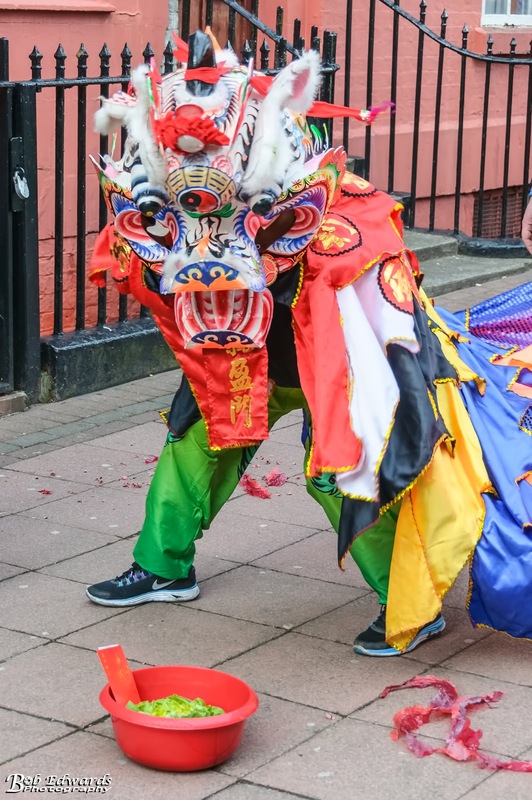 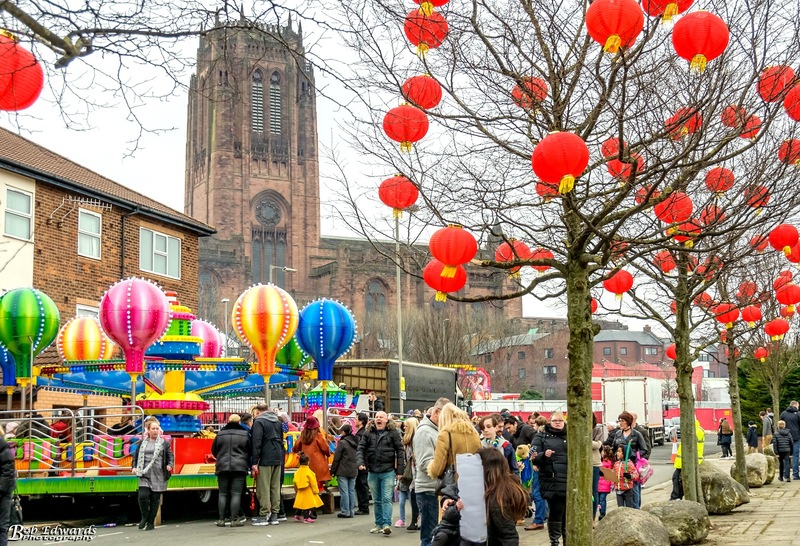 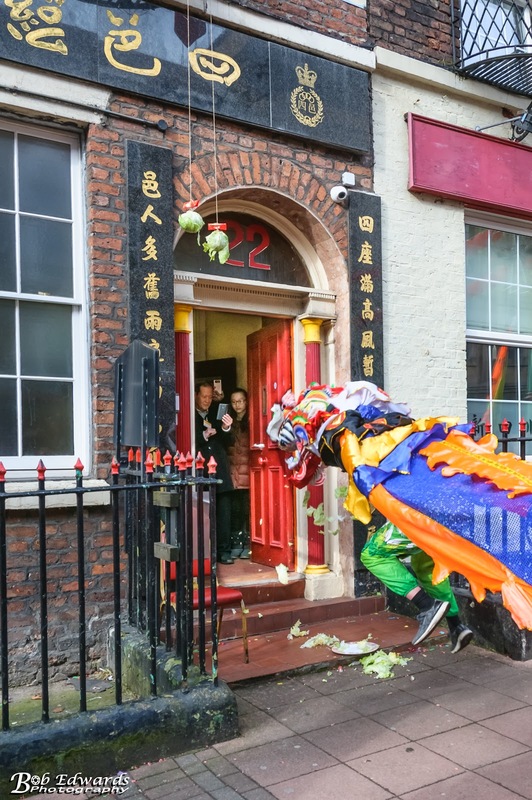 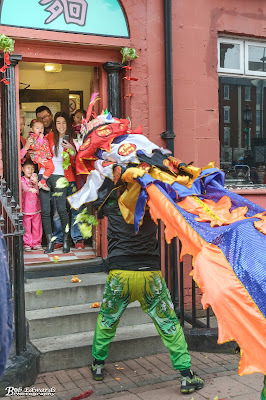 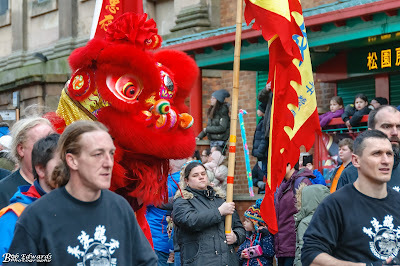 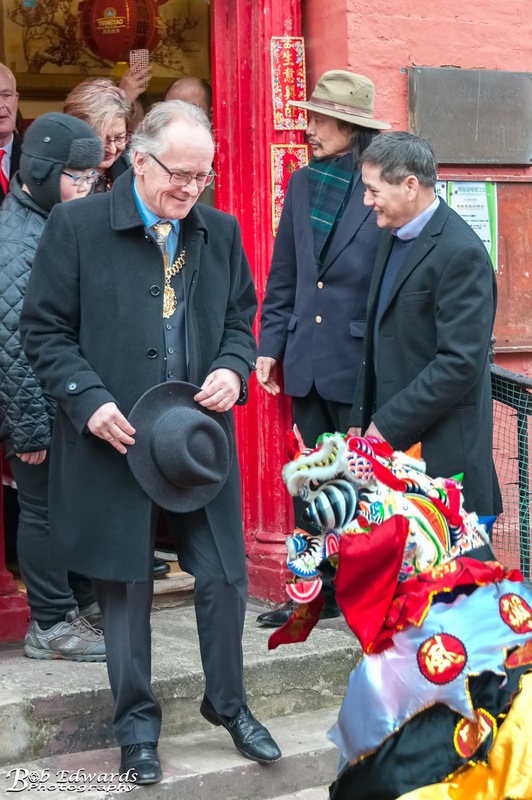 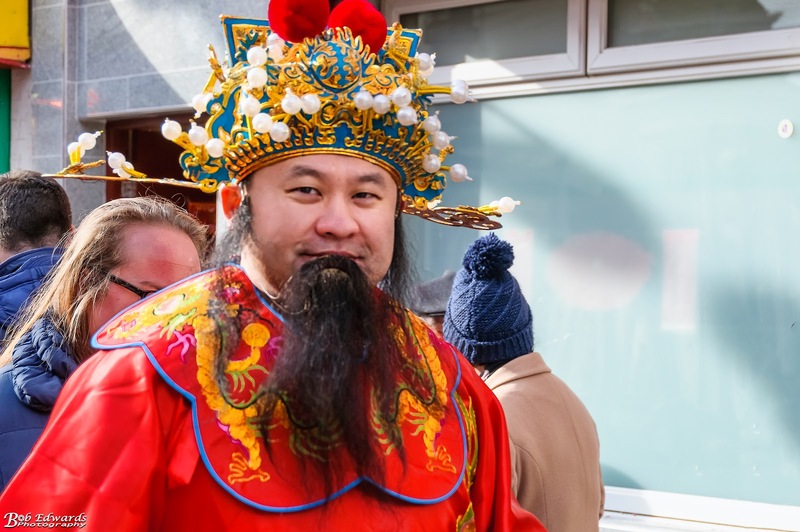 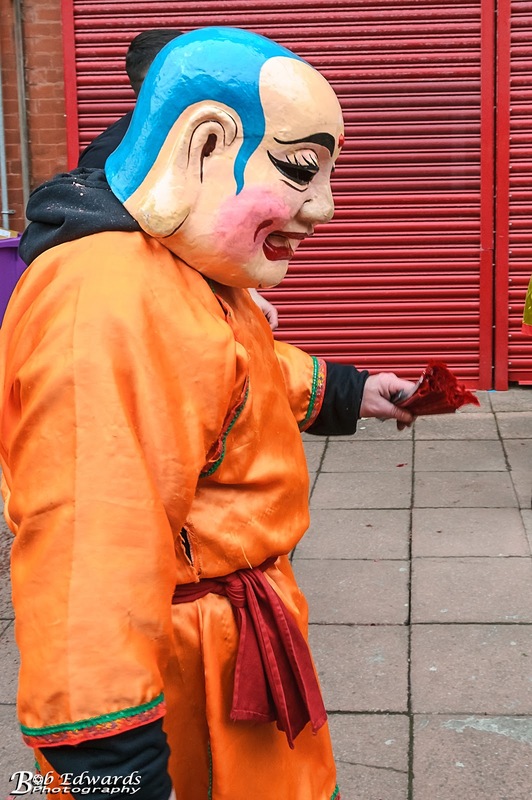 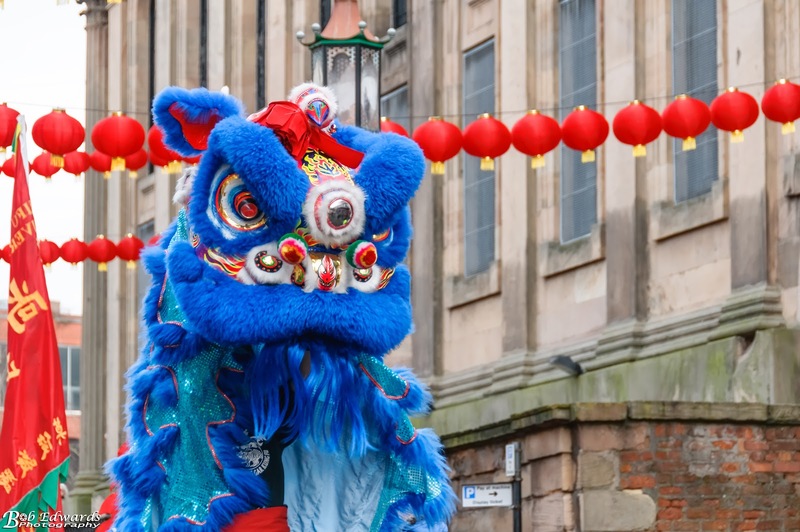 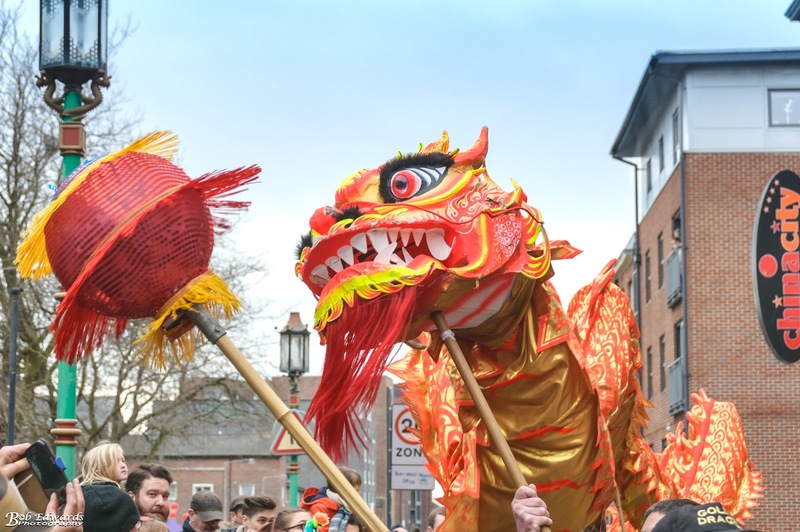 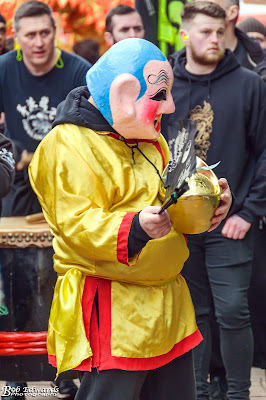 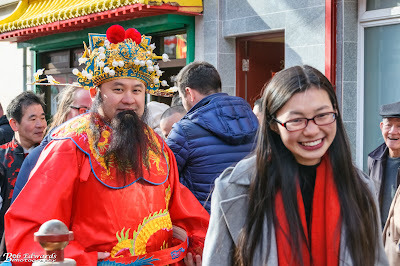 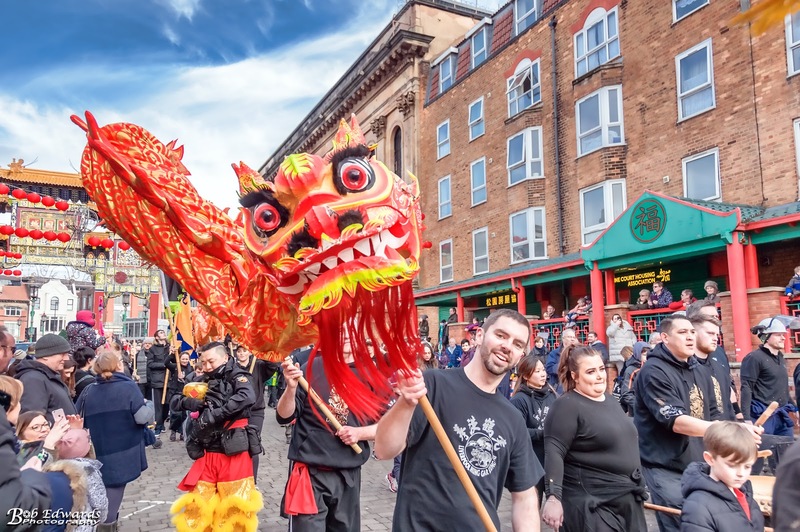 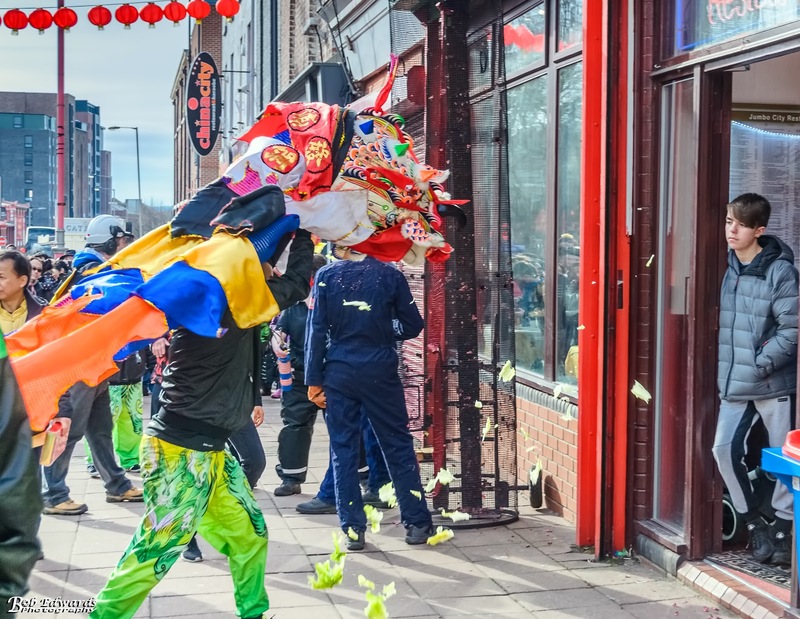 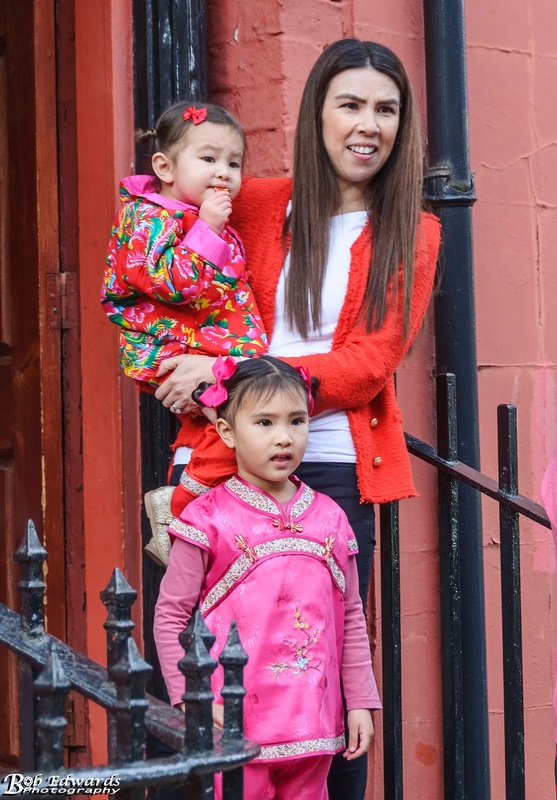 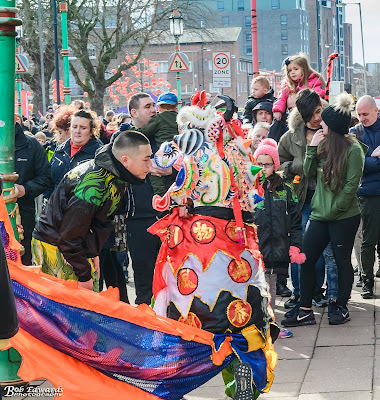 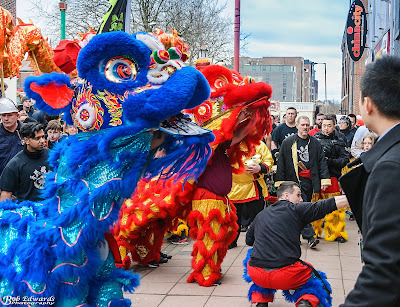 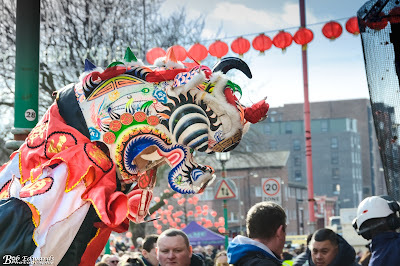 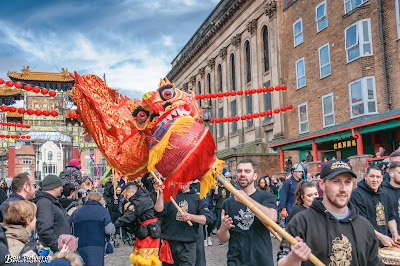 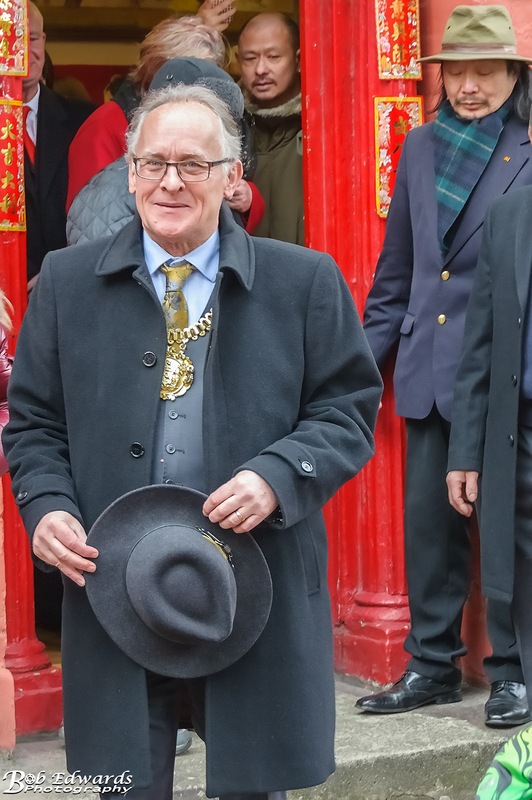 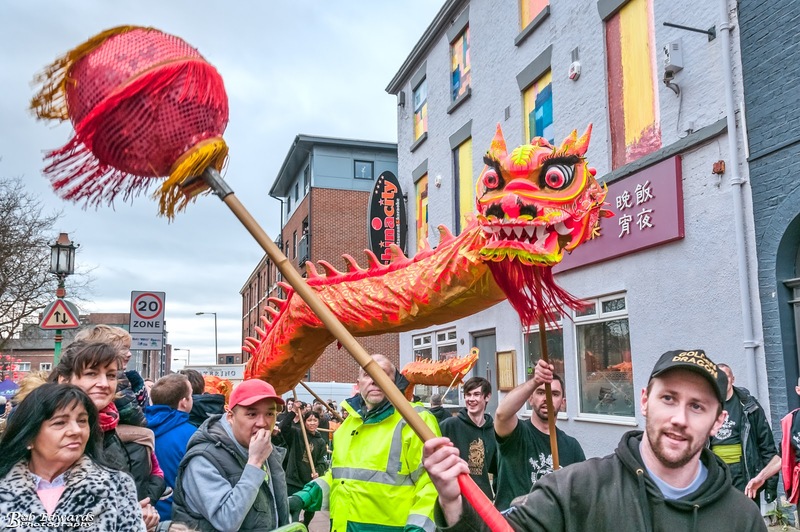 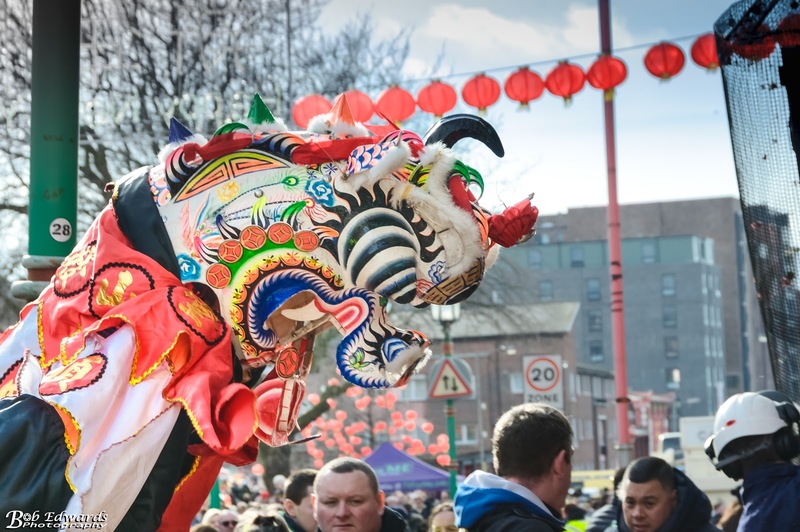 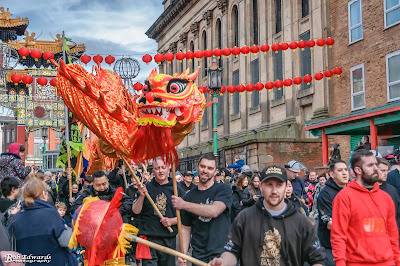 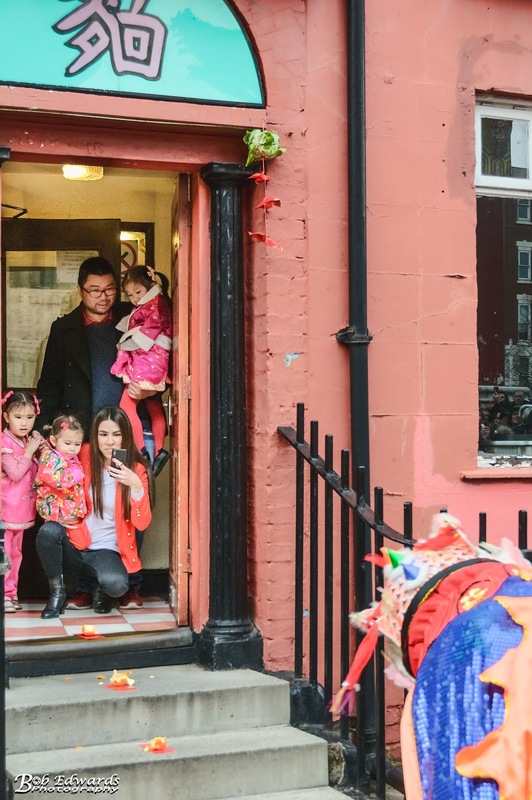 This weekend Liverpool witnessed spectacular Chinese New Year celebrations to welcome the Year of the Dog. 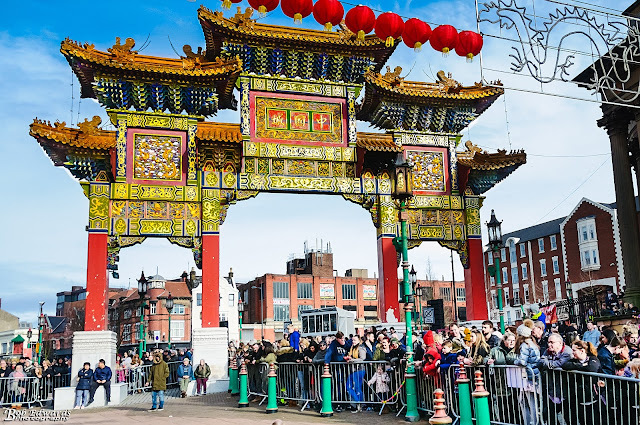 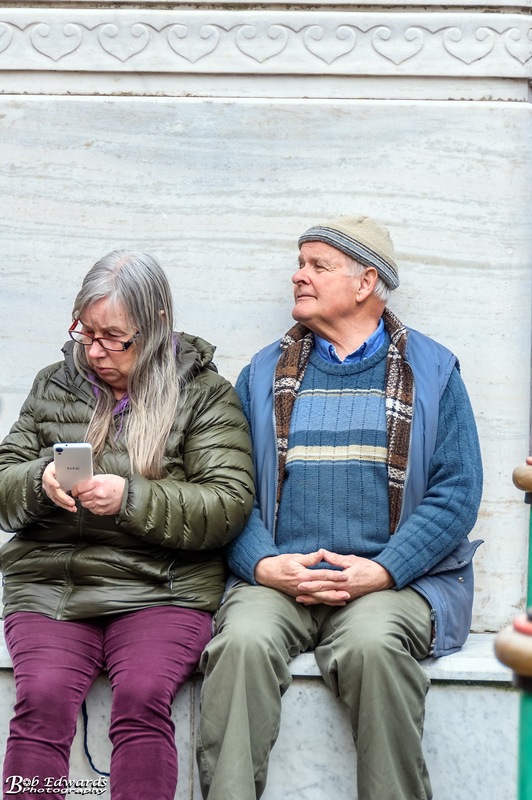 From 7pm on Friday 16 February a three-day programme of entertainment took place in the city as part of the Liverpool 2018 ‘China Dream’ season. 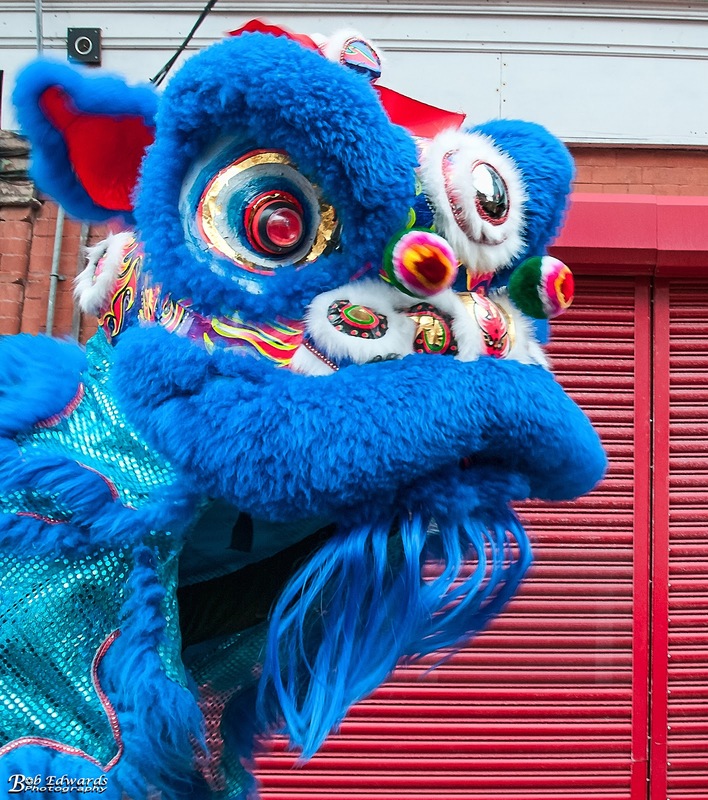 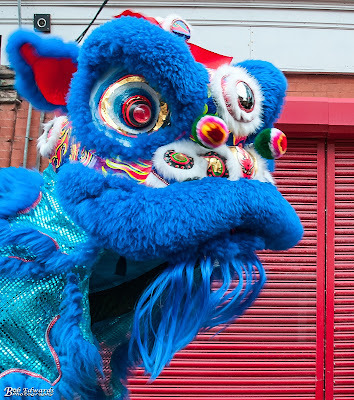 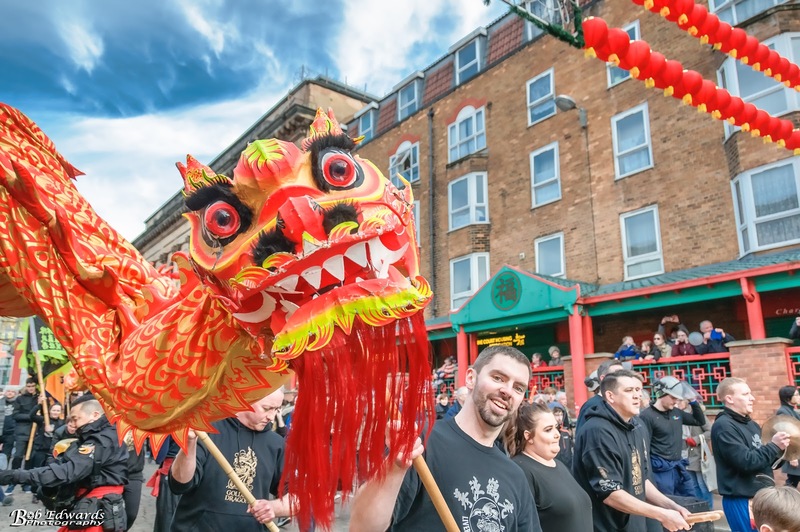 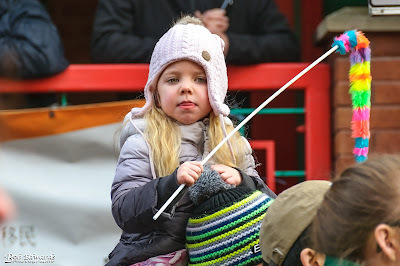 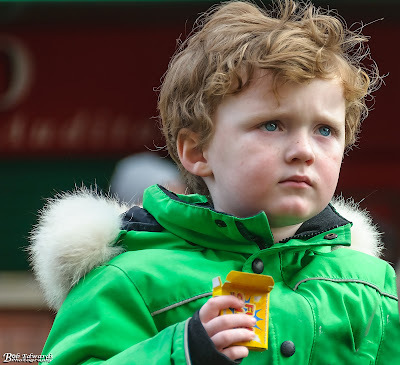 On Sunday thousands descended on Chinatown to join in a full day of celebrations including a dragon and lion parade followed by a Unicorn parade. 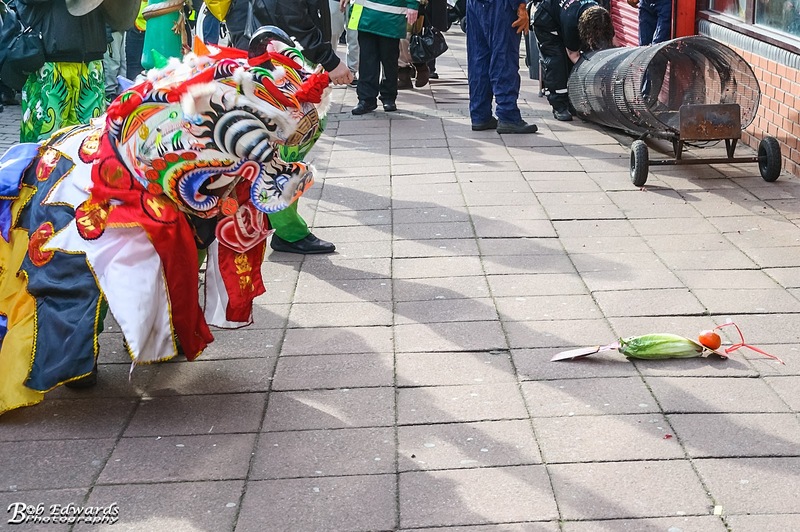 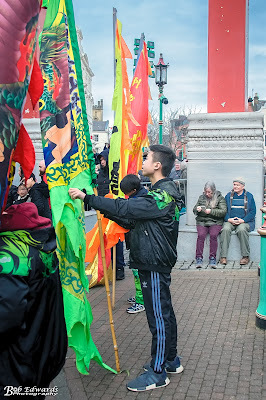 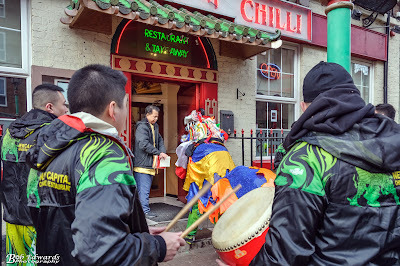 Visitors witnessed the dramatic climax of the Lion Dance, the "Cai Qing" or 'Picking the Green'. 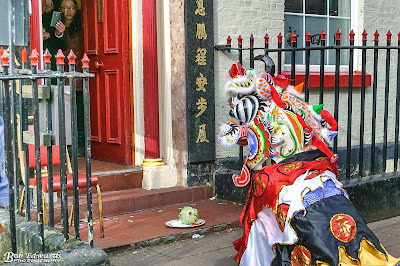 The green here refers to vegetable leaves which are tied to a piece of string which also has a red packet attached containing money. 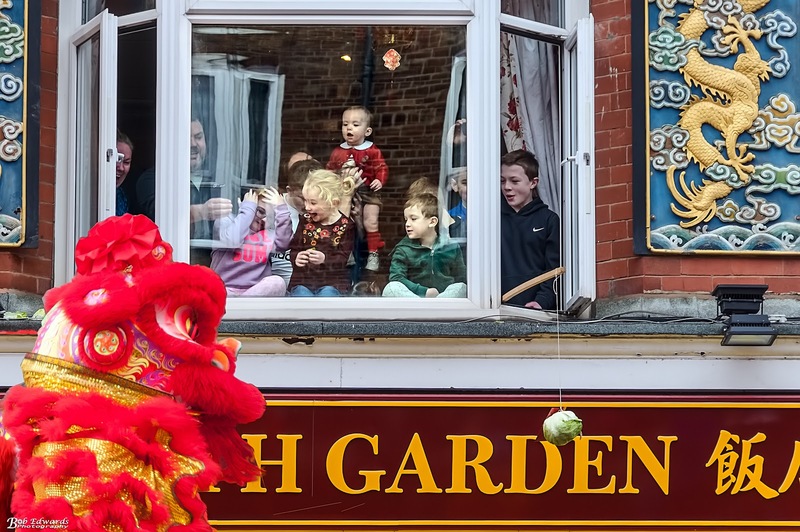 The string is hung above the door of the business, shop (or home), and the lion 'eats' both, the leaves and the red packet. Lying on the floor the leaves are 'chewed' by the lion while the musicians play a dramatic rolling crescendo. 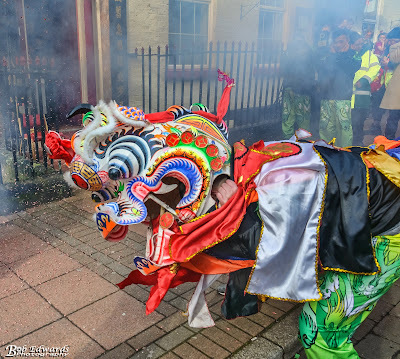 The lull is broken as the lion explodes back into activity, spitting out the leaves. 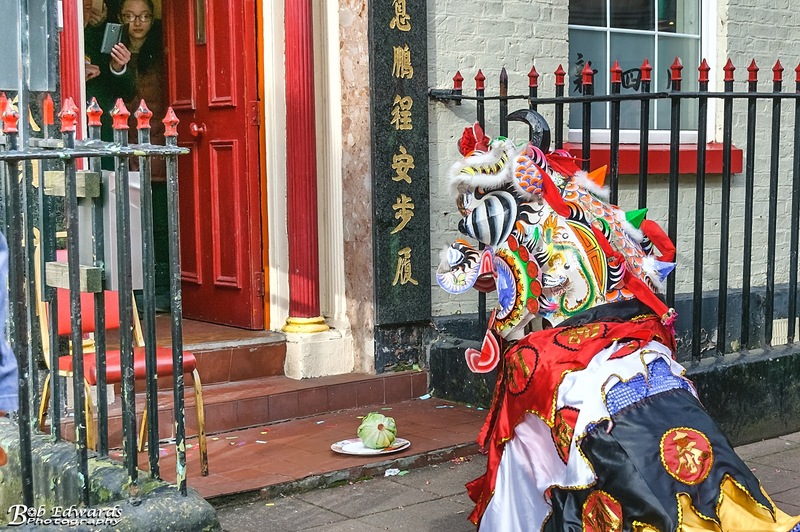 This is a symbolic act of blessing by the lion, with the spitting out of the leaves signifying that there will be an abundance of everything in the coming year. The Dog is the eleventh in the 12-year cycle of Chinese zodiac sign. 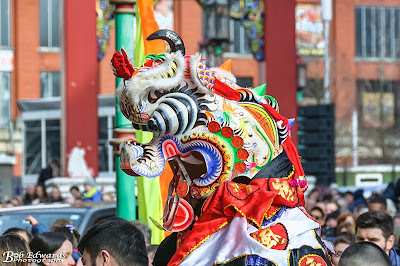 The Years of the Dog include 1922, 1934, 1946, 1958, 1970, 1982, 1994, 2006, 2018, 2030, 2042. Dog is man's good friend who can understand the human's spirit and obey its master, whether he is wealthy or not. 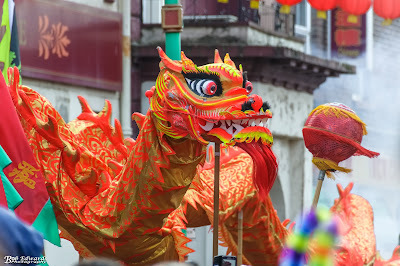 The Chinese regard it as an auspicious animal. 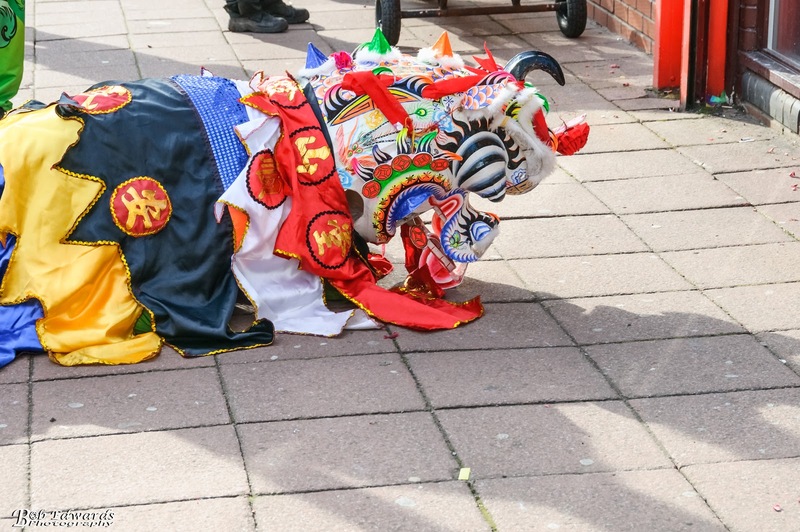 If a dog happens to come to a house, it symbolizes the coming of fortune. The invincible God Erlang in Chinese legend used a loyal wolfhound to help him capture monsters.